Tory Burch has always been synonymous with laid back all American chic, functional enough to play in but also elegant enough to command respect. The judge and jury have spoken and it looks like a deeply embedded lesbian love story curated by Abdellatif Kechiche, titled Blue is the Warmest Colour targeted the hearts and guts of all who viewed it enough to walk away with the top prize – The Palme d’Or. Trendy TV Report: We are Mad for Mad Men! Whoa! This season of AMC’s Mad Men is shaping up to be quite a gem. So far our resident players are embroiled in various manifestos that seem to be directing each of them on a path that is not only routinely familiar but also deceptively ironic. Frida Giannini channeled her love for Rio de Janeiro when she implemented the blueprint for her newest collection. Speedboats, luxurious yachts and decadent parties are all part of the agenda for the talented and privileged set who dare to venture into the alluring playground known as the Cannes Film Festival. Donna Karan has always excelled when it comes to being the Queen Bee of urban chic. The self-professed ambassador of New York City named her latest confection Night Sports and after a studious survey of each of the pieces we can definitely attest to her empirical sustenance. It was all in the details; eloquent transparency and sporty delicacy were all melded into the dramatic template that manifested into the picturesque fantasy of Monaco, the host city for Dior’s sedately climatic showing. 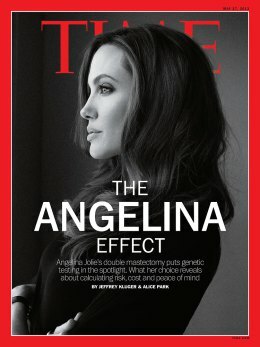 Angelina Jolie is undoubtedly one of the world’s most respected and revered figures in an industry that is constantly churning out younger versions of now aging ingénues.